Our main task as smava Business Analysts – revolve around defining KPI’s, business logic, analyzing data and reporting. We provide insights and recommendations for both operative and strategic developments to all teams within smava. We are smava, the online loan comparison platform. We are one of the three largest Fintech-employers in Germany. Our mission is to revolutionize the loans market by making it fair and transparent. 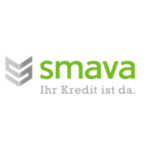 smava finds the best loans for everyone: fast, convenient and cost effective. We are in the third stage of innovation in the finance industry: first ATM’s, then online-banking, now digital loans by smava! This is also why we were awarded as Innovator 2018. All of this was achieved thanks to almost 500 employees. Become a part of the smava-story now!